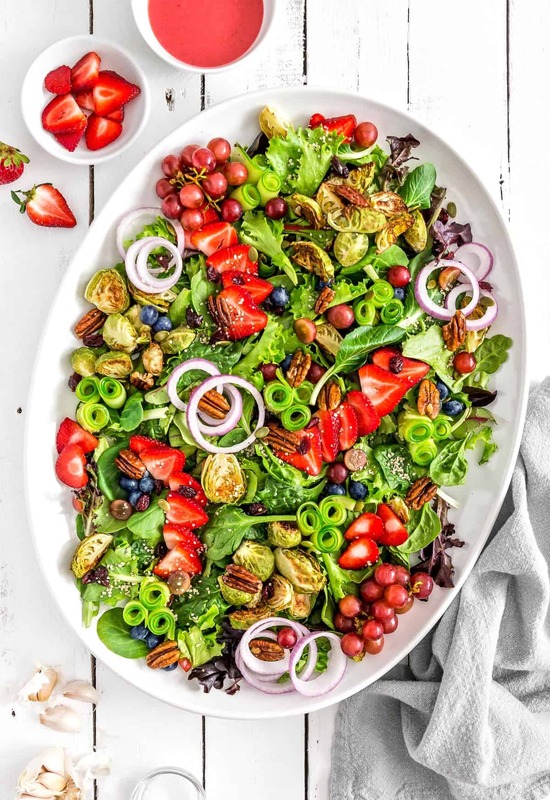 This vibrant salad is bursting with fresh flavors: zesty ginger, tangy vinegar, and lively cilantro. 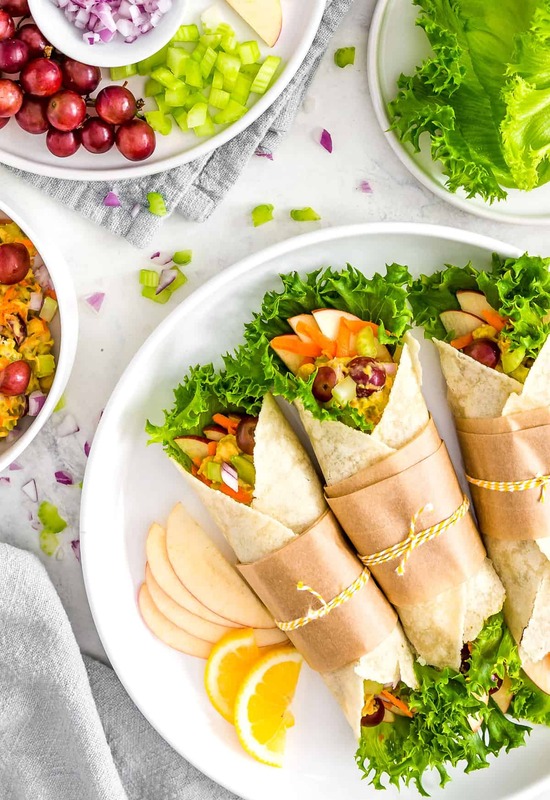 It’s a fabulous and refreshing side salad, tasty topper on our Asian Rainbow Chickpea Tacos, and great for topping burgers as well. 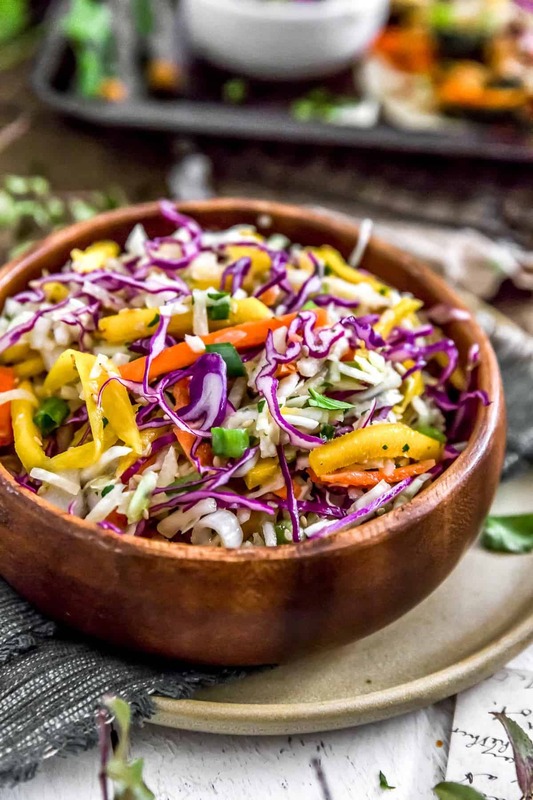 Plus, this fabulous dish makes for an excellent picnic slaw too! 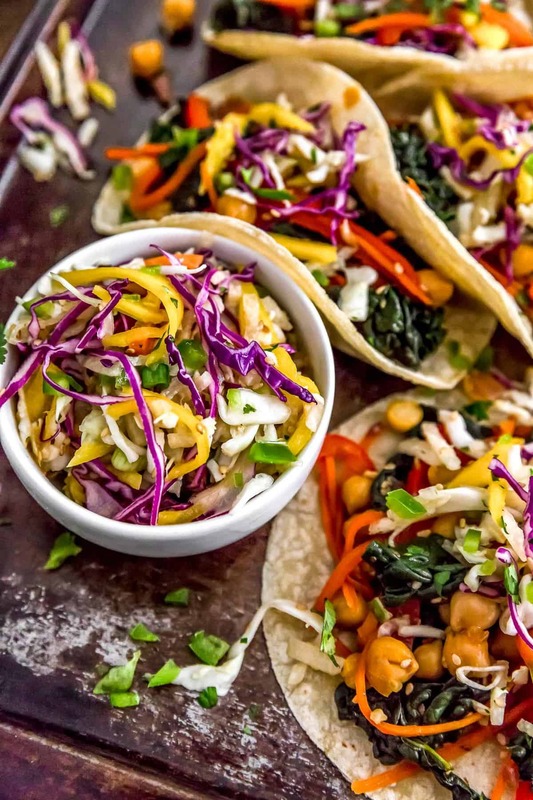 The beauty of this slaw is that if you can’t find jicama, you can just add more coleslaw mix, and it will still be really tasty. I loooove mangos. I could eat them every day all day long. They are one of my favorite fruits, and mom loves them too. The hardest part is waiting for them to be ripe. There is nothing better than a juicy sweet mango. Seriously, yummmm! For this recipe, you need an ALMOST ripe mango. You don’t want a juicy one because then your slaw will become watery. You want a firm almost ripe mango so when you slice it, it holds it shape and is just sweet enough that you can taste the sweetness. Additionally, frozen mangoes will not work. Trust me, we tried. YUCK! 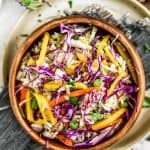 I love this slaw because it is so versatile. 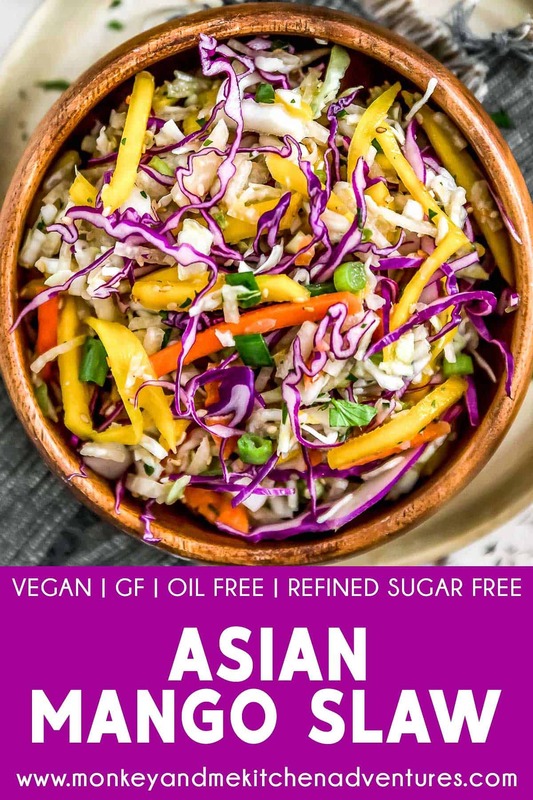 Initially, I was worried because it isn’t always easy to find jicama, but we were able to test this recipe both with it and then without it by compensating with more coleslaw mix and it was super delicious either way. 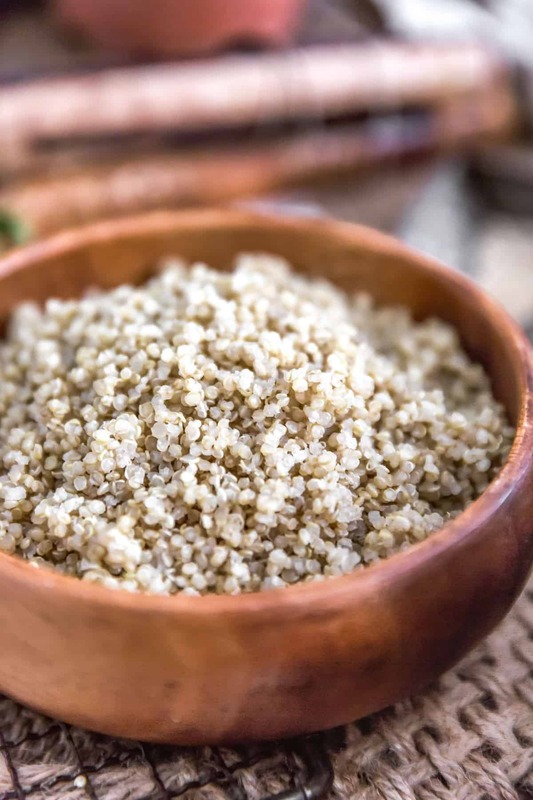 We hope you give this recipe a try. 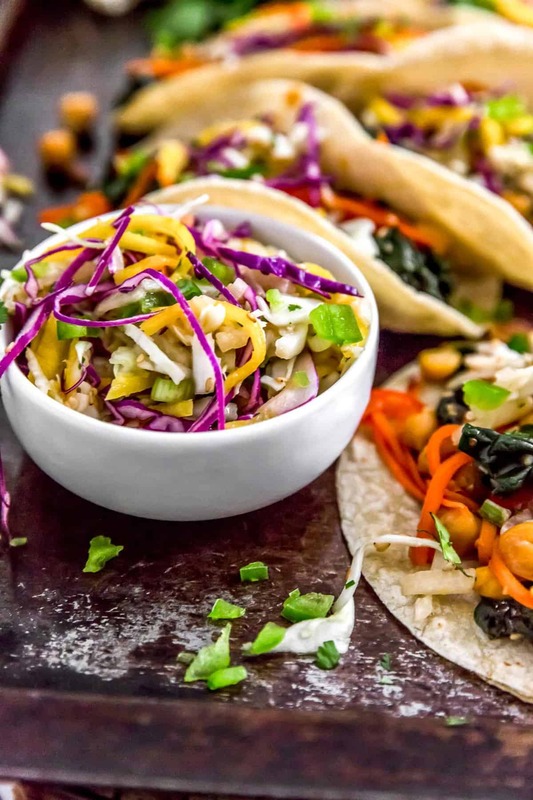 It is delicious, especially with our Asian Rainbow Chickpea Tacos. 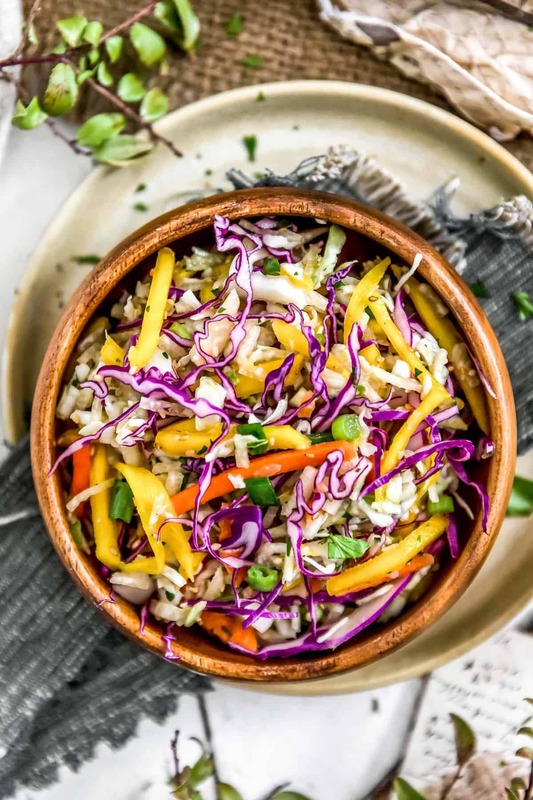 If you try this slaw recipe, we would love to know if you enjoy it as much as we do! Please leave us a review! Post a picture on Facebook or Instagram and tag us! We would love to hear from you.